An O-1 visa allows a person with extraordinary ability or achievement in the sciences, arts, education, business, athletics, motion pictures, or television to come to the United States and work here in his or her field of extraordinary ability or achievement. The O-1 visa is categorized by subcategories based on the field for which the visa applicant is claiming his extraordinary ability or achievement. O-1A visa is for individuals with extraordinary ability or achievement in the sciences, education, business, or athletics. O-1B visa is suitable for individuals with extraordinary ability or achievement in the arts, motion picture or television industry. O-2 visa is for those who will assist an O-1 visa holder artist or athlete with a performance. O-3 visa is for dependents of O-1 and O-2 visa holders, such as a spouse and children. If you claim your eligibility based on the field of arts, you must demonstrate that your skill and recognition are substantially more than ordinary professionals in your field. This must be supported by documentation evidencing that you are renowned, leading, or well-known in the field of arts. An O visa applicant claiming extraordinary achievement in the motion picture or television industry must demonstrate that his skill and recognition are above those of the ordinary professionals in the field and that he is known as outstanding, notable, or leading. The application process starts with submitting Form I-129, Petition for Nonimmigrant Worker to the USCIS. 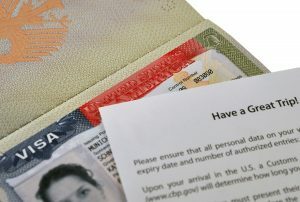 Petitioner and beneficiary cannot be the same person, because O-1 visa cannot be obtained by self-petitioning and always requires a petitioner who is the potential employer of the visa holder — unlike in the case of the extraordinary ability immigrant visa category, for which the existence of potential employer is not necessary. Consultation, which is a written opinion of a person or a labor organization with expertise in the beneficiary’s field of ability. If such an organization or a group does not exist in the beneficiary’s field of expertise, he will need to substitute the Consultation with evidence of record. Copy of the contract between the petitioner and the beneficiary which reflects the employment agreement between them and includes an offer and acceptance of the employment. Itineraries, which detail dates and nature of the events or activities in the beneficiary’s field of ability. Documents evidencing the existence of a U.S. Agent, which can be the employer of the beneficiary, a person authorized to act as an agent of the employer, or an agent authorized to represent both beneficiary and the employer. An O-2 visa applicant must demonstrate that he or she has necessary skills and substantial experience to perform support services for the O-1 visa beneficiary. For a motion picture or television production, an O-2 visa beneficiary should establish that the essential part of the production took place abroad and his involvement in the production, which will take place in the U.S., is essential to the successful completion of the work. Spouses and children under the age of 21 of O-1 and O-2 visa holders are eligible to apply for an O-3 visa. O-3 visa holders are allowed to live and study in the U.S., but the cannot apply for employment authorization. Please keep in mind that this nonimmigrant visa category is a document-intensive and complicated process. Therefore, engagement of a qualified immigration attorney in this process is one of the most important factors to obtain a favorable decision from immigration services.